Rafiakids had the chance to be part of an exciting new local event this week. On Tuesday, over 200 families met in the Bacich community centre for a fun night of making, socializing, and discovering the great atmosphere that can be created when families gather in a creative environment. Rafiakids Founder Claire Comins took the opportunity to interview the organisers of the event, and the principal and Innovation and Integration specialist of this local public elementary school to hear what they think is so exciting about maker. 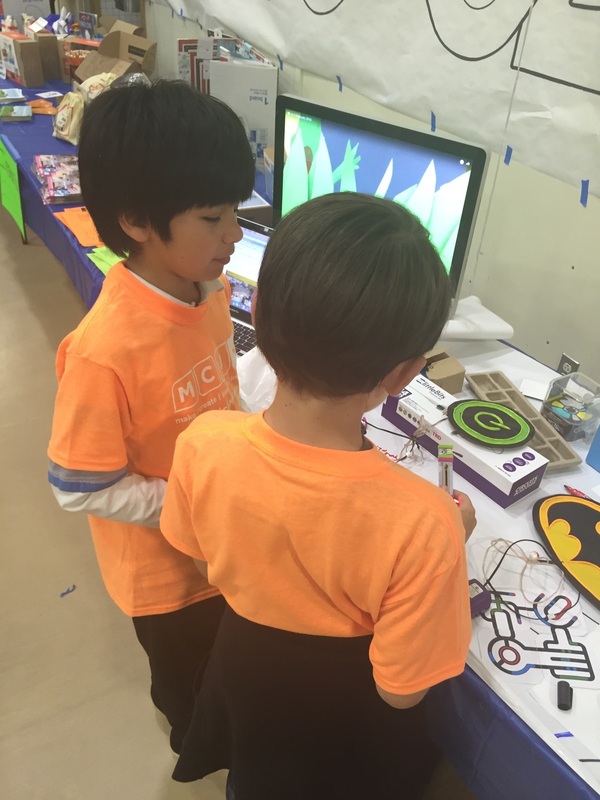 Sharing projects and passing on new knowledge is a big part of the maker mindset. These students are great at that!